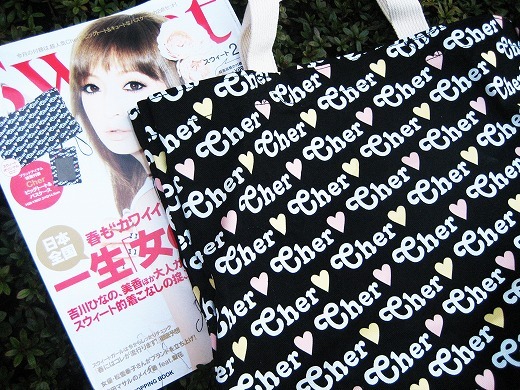 A heart and cute logo print large tote bag and a pass case are free gifts of the magazine. These always sell out within about three weeks after they’re came out. 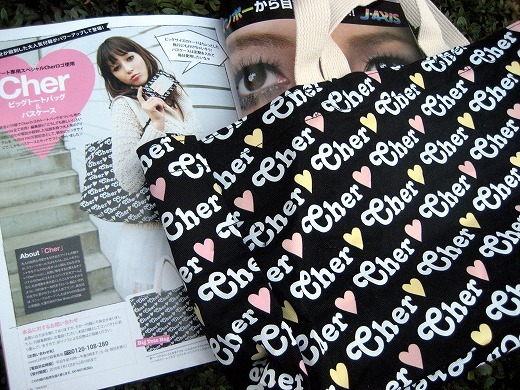 I really liked the bags that came with “Cher s/s”… these look really nice, too! I guess this is for Feb issue. You might find one at the book stores before the next issue comes out on Feb 12th. Good Luck! Phew!!! Managed to get this at singapore today!! Love it!